PDUNIPPD is an autonomous organization under the administrative and financial control of Ministry of Social Justice & Empowerment, Government of India. 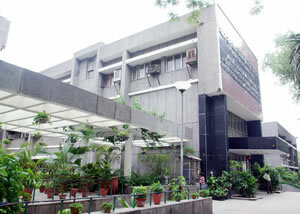 The Institute for the Physically Handicapped came into being when the erstwhile Jawahar Lal Nehru Institute of Physical Medicine and Rehabilitation and other allied institution run by the council for the Aid of crippled & handicapped were taken over by the Government of India on 22nd May 1975 and converted into an autonomous body in the year 1976. It was renamed after Pt. Deendayal Upadhyaya in the year 2002. • Bachelor of Physical Therapy, Bachelor of Occupational Therapy and Bachelor of Prosthetics & Orthotics, 4 ½ years duration course in affiliation with University of Delhi. • Out patient clinical services in Physical Therapy, Occupational Therapy and Speech Therapy. • Workshop for the fabrication of Orthotic and Prosthetic appliances including calipers, splints, artificial limbs, surgical boots and customized wooden furniture for the persons with different types of locomotor impairments. • Out-reach camps for the economically weaker disabled persons, living in the far-flung and remote areas, with the help of concerned district administration and locally active non-governmental organizations. • Extension of institutional comprehensive rehabilitation services to persons with disabilities by establishing & operational the Southern Regional Centre (SRC), Secunderabad (AP), Composite Regional Centres at Lucknow and Srinagar, District Disability Rehabilitation Centres (DDRCs) in the state of Rajasthan and facilitating the establishment of Regional Spinal Injury Centre at Barrielly (U.P.). 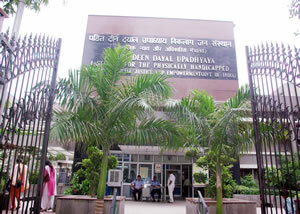 Integrated School for orthopedic disabled children up-to Vth standard approved by Municipal Corporation of Delhi. 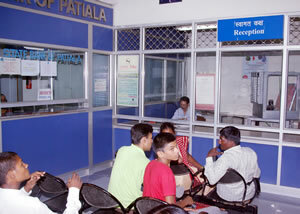 Provide Social, Psychological and Vocational Counseling Services to the persons with disabilities. Printing Press to cater to the printing needs of the Institute and Ministry for dissemination of information and generation of awareness.